Apple’s secret car project may still have some life left in it. The company just secured a permit for testing autonomous driving technology in California on public roads, which is one of the first official confirmations that Apple is indeed researching self-driving technology in an effort to compete with Google and Tesla. The iPhone maker is just one of more than a dozen companies to receive a permit today from California’s Department of Motor Vehicles. Other companies on the list include Ford, BMW, Honda, Mercedes Benz, Google, and Tesla. (See the full list here.) According to the California DMV, the companies authorized to test autonomous vehicles on public roads will be required to submit annual reports “summarizing the disengagements” of the technology. Rumors of Apple’s secret car project first started circulating back in early 2015, when the Wall Street Journal reported that the company had hired hundreds of people to work on a minivan codenamed “Project Titan” to compete with Tesla’s electric vehicles. The project reportedly had many aggressive goals, including trying to upend the car industry by the early 2020s. In July 2016, the project appeared to to take a dramatic turn when Apple hired Dan Dodge, founder and former CEO of QNX, a company specializing in microkernel operating systems that are used in several popular vehicles. Dodge’s hire, according to a Bloomberg report, was part of a strategic shift within the Project Titan group to focus on building a self-driving software platform rather than a full blown car. By October 2016, hundreds of employees working on Project Titan were either reassigned or let go from the company, according to a Bloomberg report. Apple reportedly gave the group a late 2017 deadline to “prove the feasibility” of the self-driving car technology, which experts have assumed is a software platform. Until today, Apple has been keeping mum about its car ambitions altogether. In December, Apple’s director of product integrity said in a letter to the head of the National Highway Traffic Safety Administration (NHTSA), “The company is investing heavily in the study of machine learning and automation, and is excited about the potential of automated systems in many areas, including transportation,” hinting that the company was building a self-driving platform rather than a car itself. This new permit is basically the hardest evidence we have to date. It doesn’t necessarily guarantee that we’ll ever see an Apple automotive product, however, it does confirm that the company is researching self-driving technology. While it’s extremely unlikely that we’ll ever see a true “Apple Car”—we could see cars driven by Apple in the very near future. 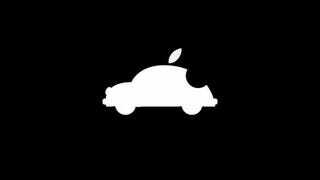 Is Apple seriously building a car?